A fertile soil, a mild, sunny climate and the dedication and patience of the people, these are the ingredients of a top wine. The soil nurtures the vines, the sun lets them ripen and the rest, that comes from us humans. Men and wine are deeply and inextricably linked. This is a story of devotion and love, that has been existing in the Era valley since Etruscan times. 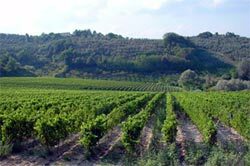 Indeed most of the best Italian wines come from this picturesque and fertile valley. Of course, for enjoying a good wine, excellent food cannot be missed and what the delicacies concerns the Era valley will certainly not disappoint you . 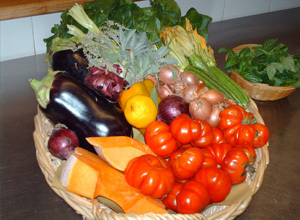 The traditional cuisine is rich in simple and tasty food: nutritious soups made from cereals and vegetables, game, cheese and sausages and hearty pasta dishes with homemade pasta. The classic main courses include pheasant with olives (Fagiano con le olive), caramelised duck (anatra caramellata) and stewed wild boar (cinghiale in umido). The typical sweets are the crispy cantuccini that are soaked in a glass of Vin Santo, a sweet dessert vine. Curious or even hungry? – No problem. With us you will learn to appreciate and love the Valdera. With our enogastronimic packages we will show you all about the enjoyment of wines, the proper storage and its perfect combination with dishes. Of course, your family and friends at home should also benefit from your enogastronimic journey. 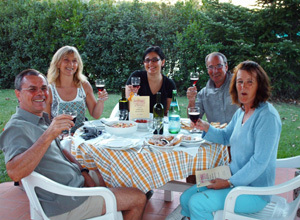 After a cooking class, you will be able to prepare for your loved ones at home the best delicacies of Tuscany. 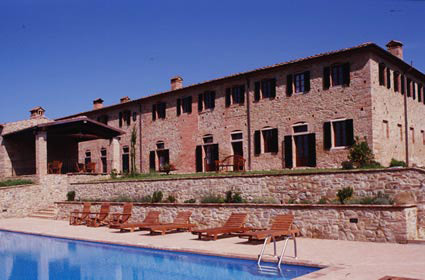 Accommodation: What’s better than a vacation home on a romantic farmhouse with swimming pool in the middle of the picturesque and sweet Tuscan landscape?